Home / Adventure / Automobiles / Events / Nissan GT Academy #RacingDriverWanted- Test your racing skills! Nissan GT Academy #RacingDriverWanted- Test your racing skills! This one is not from Singapore. You might have spotted Nissan’s ad in print stating #RacingDriverWanted. 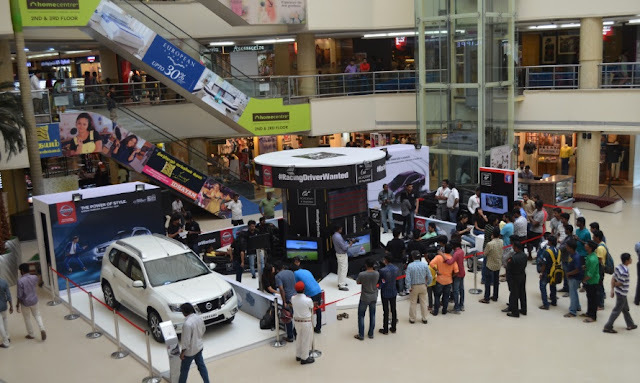 They are conducting a talent hunt for good racing drivers through GT Academy. Through this GT Academy, which is Nissan's driver discovery and development program, anyone aged above 18 and having a driving license can participate and prove their race driving skills. 6 winners will be taken to UK to train at Silverstone race camp and one final winner will get to be Nissan's racing driver for a real life job. Registration is fully free. 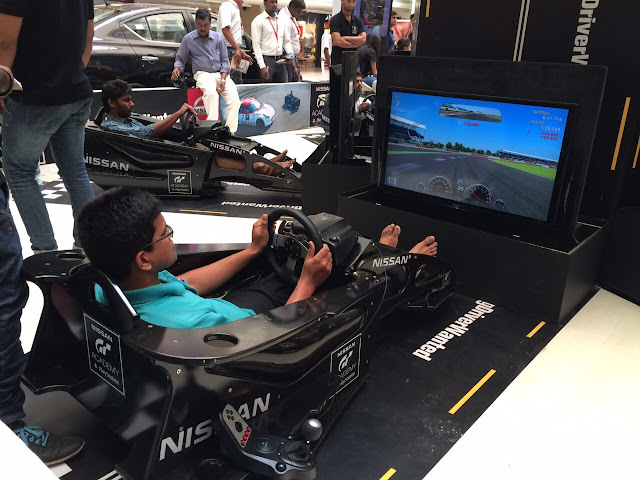 Nissan is conducting test camps at various cities for registered users to prove their racing skills in a real world replica of racing cars, using playstation gaming console. I got an invitation to try this out, so I went to Expensive Avenue sorry Express Avenue today morning. Initially I was in dual mind whether to go all the way or not, then decided to go and check it out anyway. I am totally glad that I tried. It has been really long time since I tried my hands at racing. Used to play some computer games during college days but after that I haven't played much. When I took my seat, I was given 10 minutes. As you see in the picture, I could improvise after every lap. 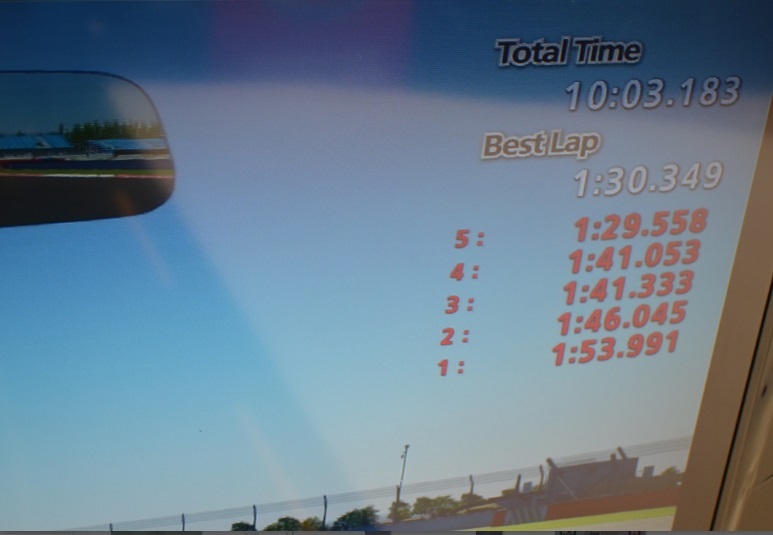 First lap took 1 min 53 seconds while final lap I took only 1 min 29 seconds. If I had tried another 5 laps I am sure I would have saved another 10 seconds. I heard 1 min 15 second is the best lap of the day so far. Also the staff asked me to keep one leg on the accelerator and another on the brake. This is odd arrangement for me, as I am used to using same leg for brake or accelerator, while the left leg is unused. Above: Me at the play station real world racing set up trying my hands on the virtual race track. Photo courtesy- Shruti. It is not just acceleration and braking, which is easier to manage. We need to keep in mind the gears also- paddle shift up and down as needed. Going off the track can invalidate the lap and also eat up a lot of time. After few laps I got a sense of turns and bends and optimal speed during turns etc. There is still a lot to learn in the world of race driving. I might be driving a real life soon to be launched hot hatch with paddleshift next week. Stay tuned. If racing is in your blood, go register at Nissan GT Academy. 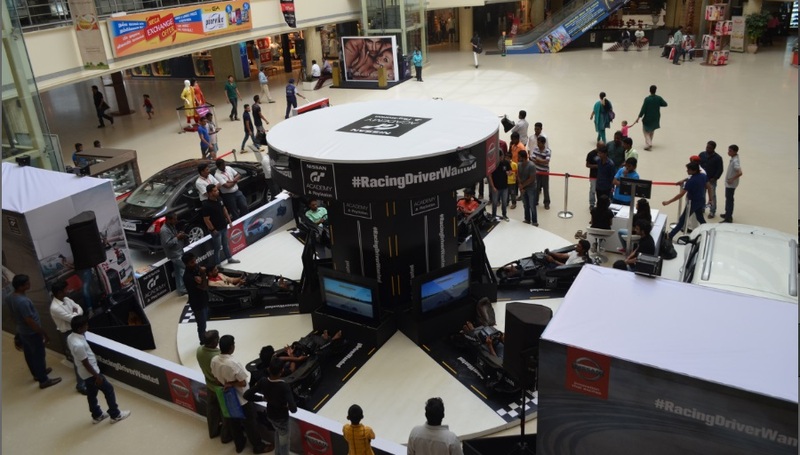 It is free and you can enjoy 10 minute race driving and stand a chance to win big. It is ON at Express Avenue today and tomorrow. Spot registration is also allowed. Best wishes. This seems to be interesting. I'll see if I can go there tomorrow. If I'm driving an automatic car in heavy traffic, I use left foot braking as well since it can become tiring for the right foot to repeatedly accelerate and brake. But this takes a lot of practise since the left foot which is normally used to press the heavy clutch pedal doesn't have the finesse that your right foot has. Is this coming to BLR? Thanks for the clarification. I could sense that. Social Tree at Changi airport T1 Singapore! Exploring Bengaluru with Oyo Rooms!